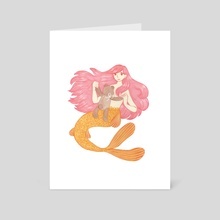 Playful mermaid, who found a little teddy bear. Lady from Finland, who has a spark for art, and currently studying graphic design. and happiness is what I yearn to bring to this world that is a beautiful wonderland through my eyes.